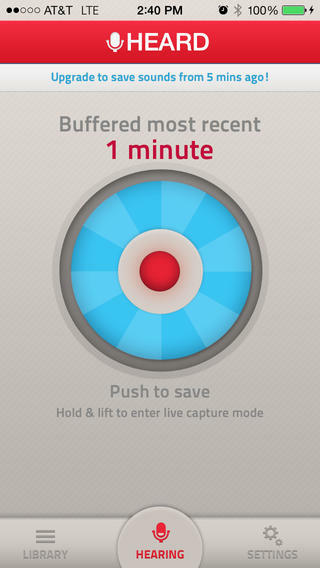 A future meets past audio recording app that lets you capture sounds from up to 5 minutes in the past. A truly simple interface, just tap the app’s big button and the audio from the recent past is saved to a file that you can replay anytime and share online. Its got a nicely designed archives view to organize your recordings or share them via social and email.